We have access to a RTI Query and its response by IIM Ahmedabad. The applicant had asked for some more information – Work Ex break up, No. of students admitted in each category etc.. Also, the same statistics for the Class of 2015. The applicant had also asked for similar stats for the PGP-ABM course for the Class of 2014 and Class of 2015. 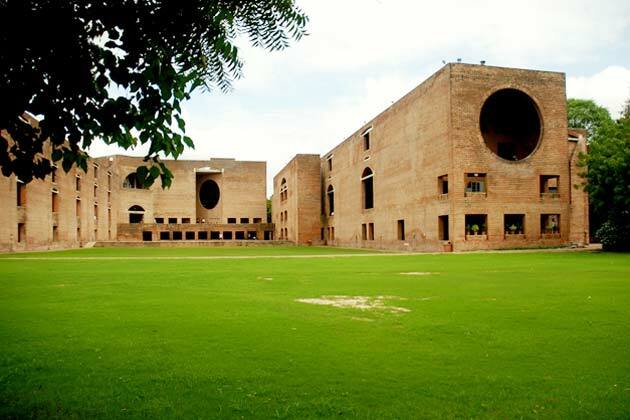 Given the complexity of admission process at the IIMs, the various quotas and the 3 CAT percentile statistics involved, the IIMs must publish certain basic data. For e.g. check the Wharton Batch Profile here. They publish a GMAT Range, the mean GMAT score and the middle 80% GMAT range. Our admission processes are far more complex. But then, more the complexity, higher the need of transparency. It helps aspirants and recruiters. It will be interesting to know what your view is. Please leave your views in the comments below if any. Please note that criteria of IIM A changes often each year and hence the statistics give below are only indicative. You cannot base you chances for the Class of 2016 or in the future based on this as the criteria has changed. For e.g Top 250 candidates from different academic disciplines called this year to enhance diversity will definitely affect the stats a little if a similar query is filed later. Also, there are basic sectional cutoffs now. The admission policy back then did not have it. So, the minimum sectional cutoffs for future batches is bound to be higher than what is mentioned below. Some IIM A alumni have pointed out that the minimum Work Ex figure given seems to be only for people with work experience as there are bound to be freshers in the General Category of the graduating batch. We don’t know this for sure though. Know everything about the Selection Process of Top Schools in India here. does that mean in general category some one with 96 & 90 in X XII respectively and Non Engineer Bsc grad with 5.5 CGPA wont be acceptable even with 100 in CAT and with 2 year + work exp?..means below 67.5 in grad won’t be acceptable? @Shuvam, these are not the cutoffs. These figures just give you the statistics from the current class of 2014. In another year, the minimum could be less or more than 67.5. I belong to SC category and I have 58% in 10th, 78% in 12th and my CGPA of BBA degree reaches to 75%,is there any chances for me to get into IIMA, and if yes then can anyone tell me how many score I need in CAT? please reply asap! When it shows 1 month, the basically have just given a value instead of 0. There are many freshers at IIM A. Thanks to Team InsideIIM for publishing these reports. At a time when the admission process is became far too complex, these will help a future aspirant to gauge his/her odds of securing and converting an A call. Eagerly waiting for the same statistics on IIM C! Actually The sectional percentile cutoffs for IIM Ahmedabad are 85 percentile in each section( Quant and VA) for general category. How did they take people with less than the sectional cutoffs (check minimum percentile in each category)? 10th 65%, 12th 72%(PCM) BA 60% . from which iim can i expect a call? is there any chance in IIM-A? 10th – 91, 12th – 81, Grad(hotel management) – 67 … any chances? 10th-92.5, 12th-75.6, btech-around 78, can I get a call from IIM A and IIM C, if yes, then with how much CAT percentile? I got 68.4 and 71.8 in 10 &12 resp. And my graduation score is 64..nd belonging from sc quota, how much score i need to get the call from FMS delhi. May the best Rat win!